Starting afresh with a Tuesday treat in the shape of books. New section to review some of the literary pieces that am hands on. For the opening of this section I give you two readings. The full review coming up next Tuesday. 1. “Girls to the front. 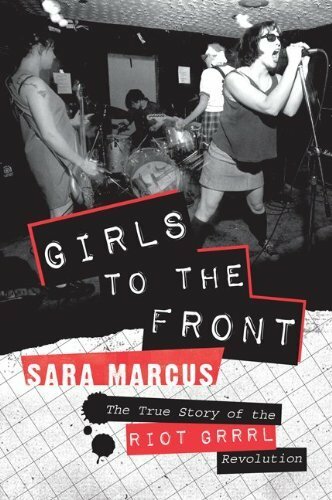 The true story of the Riot Grrrl Revolution” Sara Marcus. Published by Harper Perennial. From the first pages, the brutal honesty Marcus delivers makes you feel instantly like you have found a long-lost friend from your high school years. She is reviewing the story lived by many of us,one way or another, as well as the feminist phenomena as well as popular subculture hit that was the Riot Grrrl movement. Cannot wait to finish it and give a proper full review. 2. 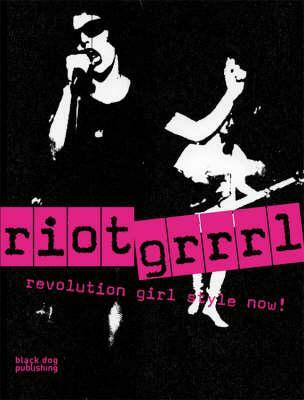 “Riot Grrrl. Revolution Girl Style Now!” Foreword by Beth Ditto of The Gossip, text by Julia Downes, Red Chidgey, Cazz Blase and Suzy Corrigan. Published by Black Dog Publishing. I admit it, I went on a riot grrrl frenzy, could be the symptoms of nostalgia about the youth that is now fading. But, nevertheless, and being consequent with oneself this is a must read for anyone interested not just in the movement or feminism, but also D.I.Y culture and the power and drive to make a statement creatively. In the shape of a scrapbook of detailed info, with visuals raging all kinds of zines from that time back in the 90s. This comes across as an illustrated encyclopedia that I was fortunate enough to receive on my mailbox just today. Next Tuesday full review and new treats for your brains, your eyes and your genitalia. Loads of love and riot grrrling.